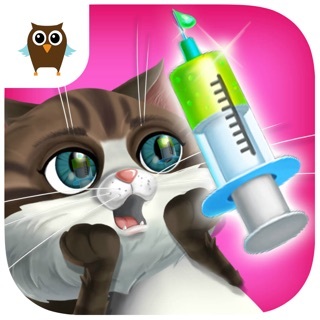 New cute pet care adventures! 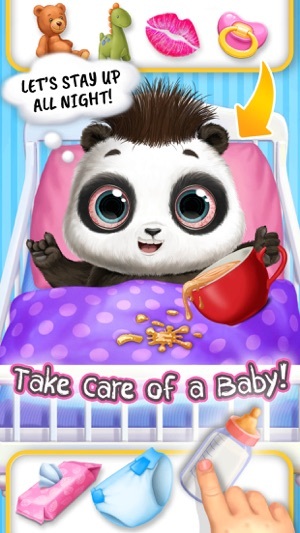 Babysit and have fun together with the most adorable baby panda Lu and fluffy animal friends! 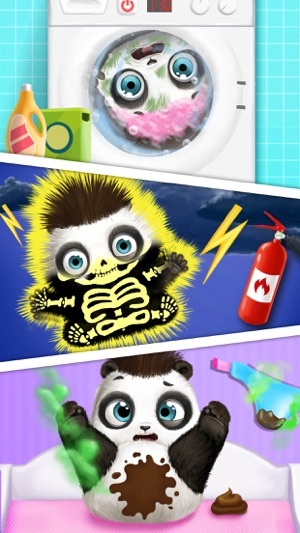 Explore panda Lu’s world and find new exciting activities on every corner. Help mommy panda feed and take care of chubby panda Lu in their lovely house! Dress up in cool and cute outfits! Find adventures in the park and at the supermarket! Enjoy fun and scary rides in Fun Park! Sweet baby panda Lu is very curious and wants to experiment! Maybe the washing machine will make panda’s fur fluffy and soft! Maybe the car wash is super fun! Mud bath - sound exciting! And what about showering under the rain! So many fun options for sweet baby Lu! Let’s try them all! Panda Lu is a true foodie! Make a delicious bamboo and berry mix, bake a warm cheesy pizza, grab colorful yummy ice cream in the park or maybe… offer baby Lu a hot chili pepper! Watch how differently panda Lu reacts to these dishes! What can be more fun than Fun Park! Take an exciting ride on the park’s famous Roller Coaster and the super high Ferris Wheel. Visit a spooky Haunted House full of spiders, ghosts, witch’s potions and pumpkin lanterns! Play hide-and-seek with you cute animal friends in the park! Don’t forget about your daily chores! Sort clothes and shoes in the panda’s messy room. 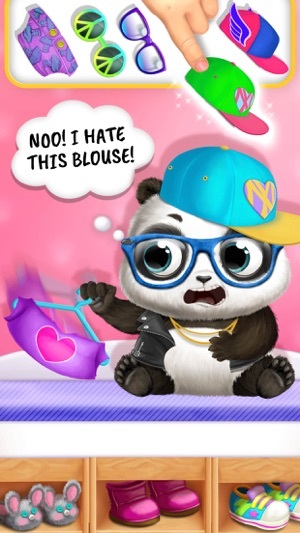 Dress up panda Lu in cute clothes and costumes: unicorns, pirates, cupcakes and more! Be mommy’s little helper and go grocery shopping: buy vegetables and don’t forget about colorful candy treats! Change panda Lu’s smelly diapers and teach toilet and bathroom habits. Finally, help baby Lu fall asleep with Animal Hair Salon rock band music and a bottle of yummy milk. · Dress up baby Lu in fun and colorful pirate, unicorn and cupcake clothes! · Change baby panda’s diapers and help Lu go to the toilet! 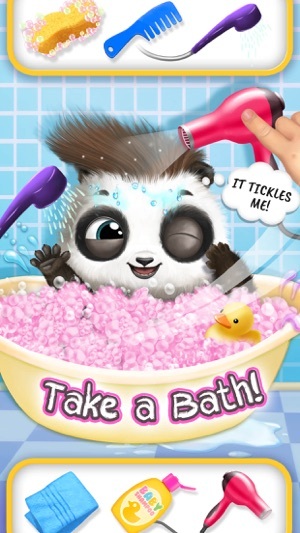 · Clean baby panda Lu in a mud bath, car wash, washing machine or under the rain and see what happens! 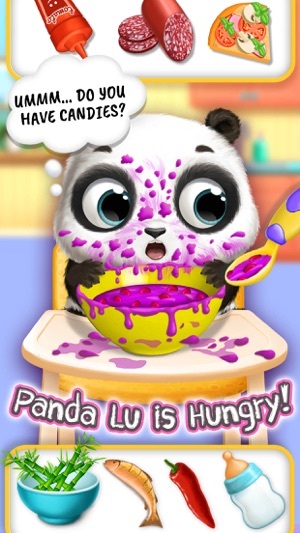 · Feed panda Lu yummy bamboo and berry mix, pizza or hot chili pepper! 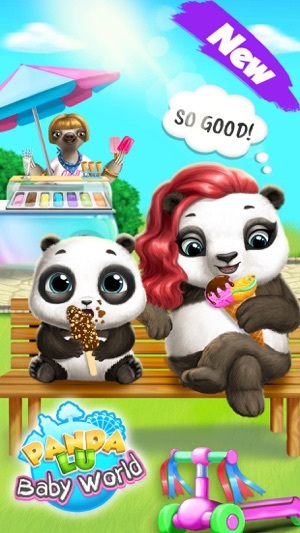 · Beg mommy panda for colorful ice cream! · Go grocery shopping and play hide-and-seek with cute animal friends! · Take a ride on the coolest Fun Park rides and visit a spooky Haunted House! · Clean up panda’s messy room and wardrobe! 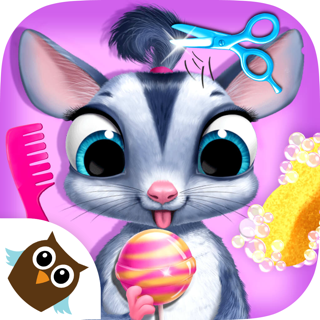 · Sing baby Lu to sleep with hits by Animal Hair Salon music band! 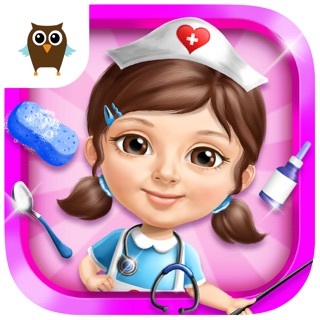 · Get super cute toys and prizes for level completion! 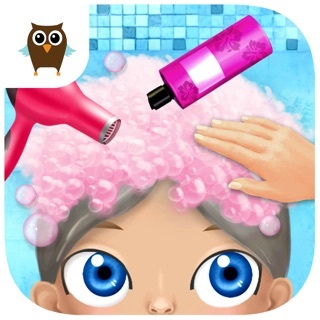 · Watch fun videos for kids to collect bonus coins! 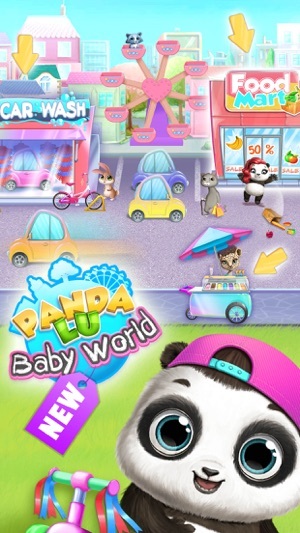 · Play Panda Lu Baby Bear World every day to get rewards and open new items! I purchased the package to unlock the content for $4.99. I think my kid would love this but it does not work most times. Either the game is unresponsive (eg you tap on an item and nothing happens) or the game freezes. Would be great if I can either get my money back or someone updates the software? Hello! We are sorry for the inconvenience! please write us at support@tutotoons.com and provide info about your device. We'll be happy to help you!